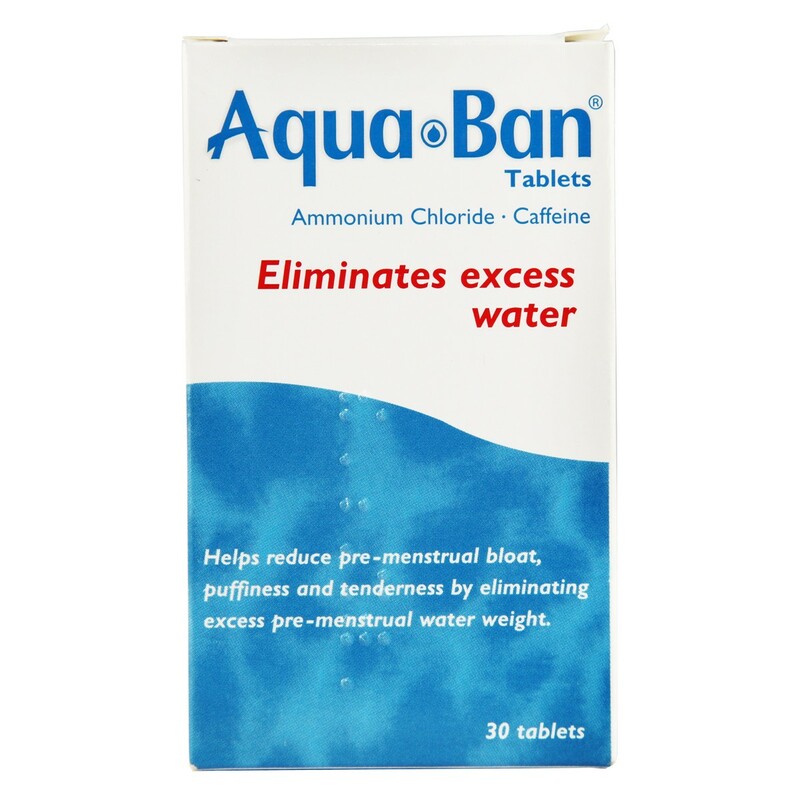 Aquaban is a licensed medicine that comes in tablet form. It contains two diuretics that help you get rid of the water that builds up in the body’s tissues and cells, relieving the uncomfortable puffiness and tenderness associated with PMS. Swallow 2 tablets three times a day after meals, starting four or five days before expected period until period begins. Do not take if you are suffering from liver or kidney problems. Do not take if you are allergic to any of the ingredients. Do not take if you are pregnant or breast-feeding. Do not take for more than 5 days. Not recommended for children under 12 years old. Thank you for your interest in Aquaban. Enter your email and we'll contact you as soon as it's available again.